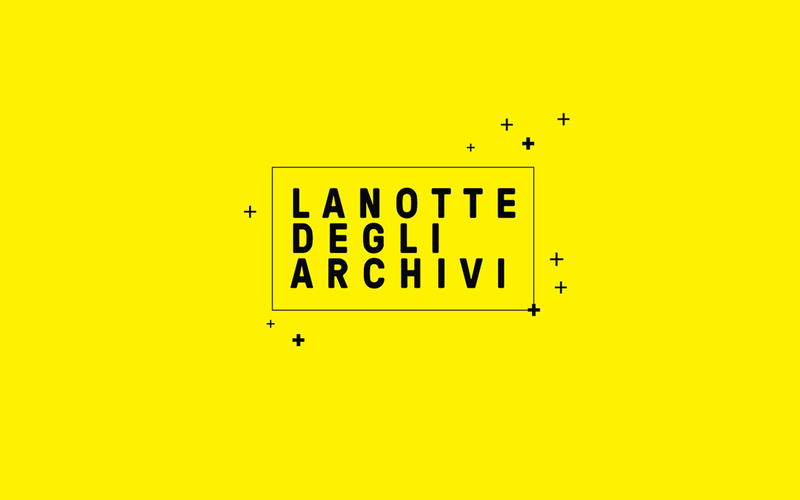 It has been presented in Turin “La Notte degli Archivi” (The Night of the Archives), initiative that offers the opportunity to citizens to access to a priceless heritage, often in approachable, the historical public archives and the private ones. We have interviewed Dr. Gisella Riva, creator of the project and CEO, together with Dr. Andrea Montorio, of Promemoria. Can you tell us which is the main purpose of the initiative and where the idea comes from? Promemoria has been always sensitive to the theme of “memory”: we are involved in the development of the historical heritage of private companies and public institutions. Preserve and save our memory is for us saving our history, our heritage, our identity. We are always open to the realization of activities which are dedicated to the promotion and conservation of memory; the last initiative we have done a few weeks ago, for example, is PUNCTUM, a project where contemporary artists have met with images coming from historical Italian archives. The main goal was to promote the archives as dynamic entities, not just as a simple container of the past, but as a starting point for a creative contemporaneity. The goal of La Notte degli Archivi is to allow everybody to access to the heritage locked in the archives of private and public companies, let citizens “dive” into them, to discover treasury which are often unknown or hidden. Moreover the aim is to connect the past and the future, multiplies the possibilities of contact between the archives and the territory in which they are located. How La Notte degli Archivi will be structured? Everything will be realised in relation to the availability and the typology of every archive that will join the initiative. We will propose some activities while others will be organized together. We’re creating a map of the city with all places to be visited. The main goal is create empathy with the audience, to approaching the non-experts to the archives through emotional paths. How will you organize the event? Which steps are you going through in the next months to be ready for the initiative? First of all we are creating a real network of archives in order to set up synergy between them. Then we will start a second phase, an operative one, in which we will actively involve all the participants. We will start to program everything for September 2016. We will use social networks (Facebook, Twitter) to communicate and get the people involved. The first edition of “La Notte degli Archivi” will take place in Turin, then we are thinking about extend the initiative to others Italian cities. Your agency, Promemoria, has developed a software for conservation, CollectiveAccess, tell us how this idea is born and how this software works. CollectiveAccess is an open source software for the digital management of archives and museums. Created in 2003 due to a collaboration between Whirl-i-Gig with a developing team and some important cultural institutions in the US. It’s articulate in two different enviroments: a back-end for running all the settings, the choice of the description cards, the insertion of data, the uploading of digital contents; and a front-end, for publication on-line with a web interface which can be adapted to different marketing and communication needs. The software is used by archives, libraries and museums all over the world (United States, Europe, South America, Japan, New Zeland) because has high technical standards, is easy to use and reduce the costs. It is a unique instrument that allows to develop a collection on different levels, from cataloguing to communication. Our company was the first one to personalize CollectiveAccess for Italian archives. Does any project of digitalization and collection of private archives exist yet? 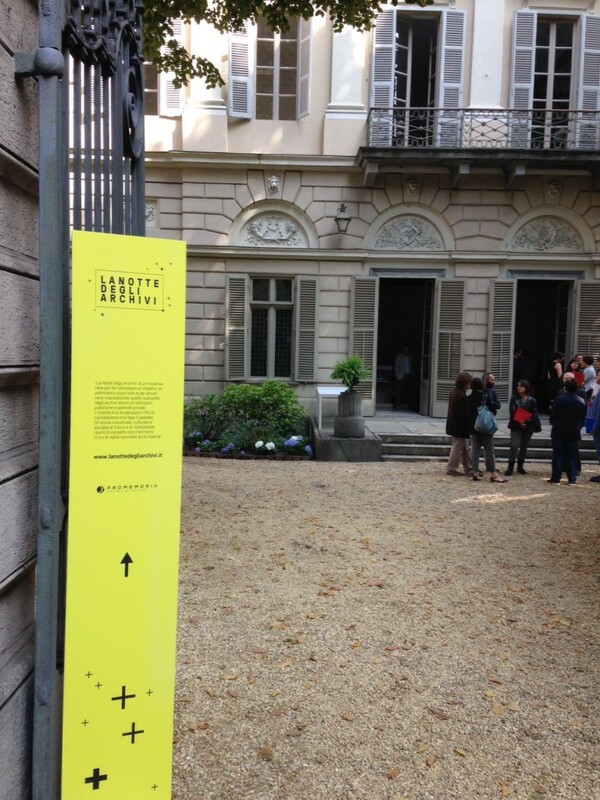 Even normal citizen will be involved during La Notte degli Archivi to share own private archive? Of course, even private citizen have get in touch with us. In particular we have realized the archiving of private art collectors. For the initiative La Notte degli Archivi we don’t intend to exclude anybody. Who has a rich heritage, a great story and wants to share it with others is welcome to join the initiative. Which public entities or private companies have already joint the initiative? At the moment we are receiving firsts subscriptions after the presentation of the project. A lot of public entities and also private ones have shown a great interest in the idea, for example the University of Turin, the archive of Martini&Rossi or the archive of the National Library of Italian Mountain Club. In the next months we will start a real communication campaign to collect more subscriptions.